A BULKED-UP Nat Exon is relishing having her longest injury-free stint in 10 years, ahead of her third NAB AFL Women’s season. The now-Lion was a track and field athlete before playing her first game of football as a rookie for Carlton in the competition’s opening match in 2017. Another full year of footy – including a VFLW season with the Darebin Falcons – has her raring to go. "It's the longest I haven't been injured in ages, probably 10 years, so the body's feeling really good, and I've got the confidence to go out and play injury-free," Exon told lions.com.au. "I've put on a lot of weight, and that was a big plan over winter … and luckily it's worked. "A few extra gym sessions and a lot of eating … I don't mind that, really," she said with a laugh. Exon finished second in the team's recent time trial, behind noted runner Emily Bates. "I was happy enough. I think I can go a fair bit quicker, but it was the start of pre-season and it was a lot better than last year, so I'm happy with that," she said. The Lions have probably been the best team in the AFLW over the past two years, having made the Grand Final each season. They've left no stone unturned this pre-season, enlisting the help of the club’s AFL premiership greats Simon Black and Clark Keating. "When 'Lakey' (assistant coach David Lake) told me 'Blacky' and Clark Keating were coming down I was super excited," Exon said. "It was awesome to have them down and do a bit of craft stuff with the mids. He's (Black) got a lot of experience and a lot of little tips and tricks." 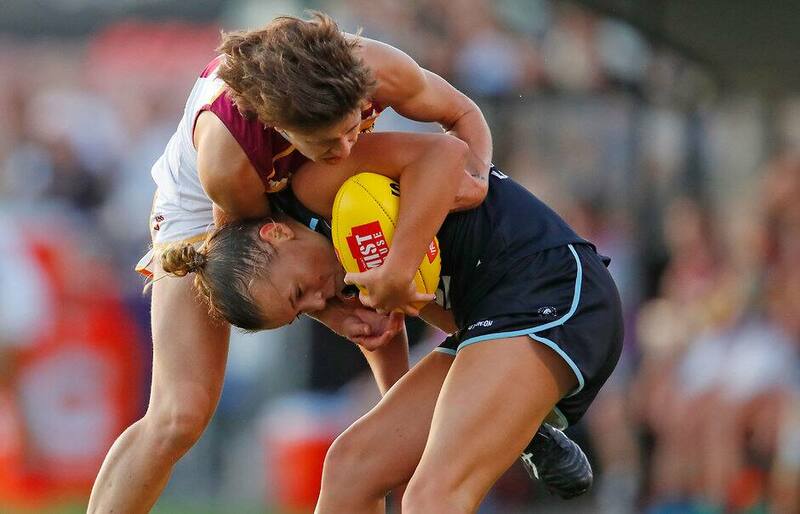 In a setback, Brisbane rookie Brianna McFarlane will miss the AFLW season after dislocating and chipping a bone in her right shoulder. The incident happened at training two weeks ago, with McFarlane joining exciting forward Sophie Conway (torn ACL in her left knee) on the sidelines. "Bri showed lots of potential in her short time training with the team," coach Craig Starcevich told the club's website. "We will support her as best as we can through the rehab process and I look forward to seeing what she can achieve when she can return to action."